Today’s guest post is by Susan Russo Anderson, who is the author of not one, but two murder mystery series! So i is obvious that she must love mysteries. In this guest post, she is going to tell us why. Too Quiet in Brooklyn is available Friday, Dec 20. Today! While you’re here, be sure to check out Susan’s latest novel, Too Quiet in Brooklyn, which is released TODAY! That’s right! Today it is available! At first blush, mysteries are not a suitable subject for this time of year—unless you’re like me and would rather peer into the surrounding darkness than squint into the glitz of the season. For many of us, there is something compelling about mysteries. We can’t put them down, perhaps because we need to know what comes next. And even though we think we have the answers to the central questions of who done it and why, we love the shock of being fooled by a surprise at the end. I’ve loved reading mysteries since forever. I can’t tell you why, not totally. But the mysteries I’ve enjoyed the most, whether historical or contemporary, have certain traits in common. They are driven by a main character I care about, a character in extremis, pushing against improbable odds, a character who never gives up. And surrounding her (or him) is a sense of doom if she doesn’t succeed, not just for herself, but for a bunch of innocent others. For me, it’s characters who tell their story and sweep me up into their world. I like to get to know them—how they’ve been hurt, what they yearn for. I like to know about their pets. (Many of them, like Gnarly, become lovable central characters in their own right.) I am curious about their favorite foods, their friends, their lovers, their failures. I am charmed by their uniqueness. I like to watch them grow. Because I care about the characters, I want to know what’s going to happen next in their lives. So a bonus is a mystery in a series where the characters have lives beyond the mystery of the main plot lines, where the characters think and comment and change. Subplots and character monologue—the stuff that books are able to handle so much better than video or film—this keeps me reading books and coming back for more. But everything I’ve said so far doesn’t explain why I choose to read a mystery over, say, a romance. Is it the puzzle or the gruesome details of the murder? That’s part of it, but not the total answer. There are some people, myself included, who are intrigued with death, arrested by the sudden, inexplicable yet inexorable demise of everyday life. The abrupt abduction. The ending for us all. And it is this placement of death and terror at the heart of a book, and the protagonist’s quest to find the perpetrator, to achieve justice and balance while struggling with grief and loss and the meaning of life, that is at the heart of the matter for me. The main character’s defeat of that dastard, death, however brief, keeps me choosing a mystery over all the other genres. 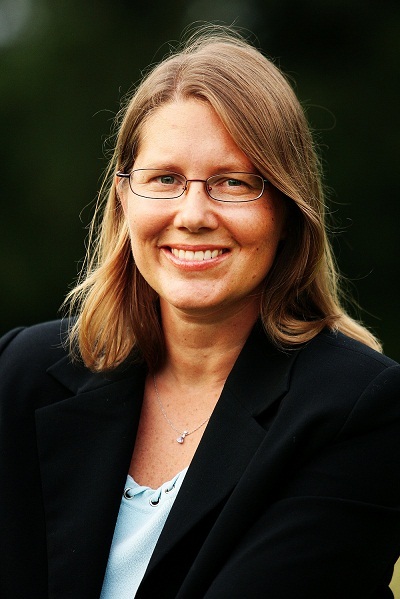 Click on author photo to visit Susan’s website. 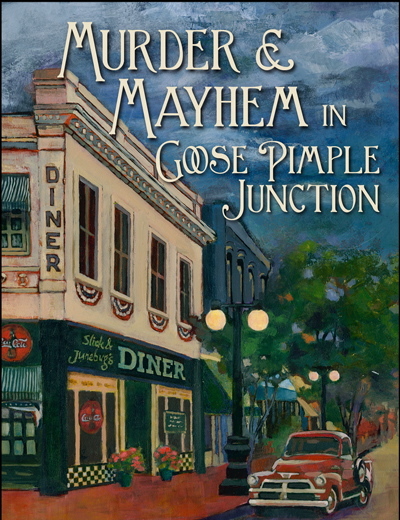 The first book in the Serafina Florio historical mystery series was published in 2012, the fourth book, Murder On The Rue Cassette, earlier this month. 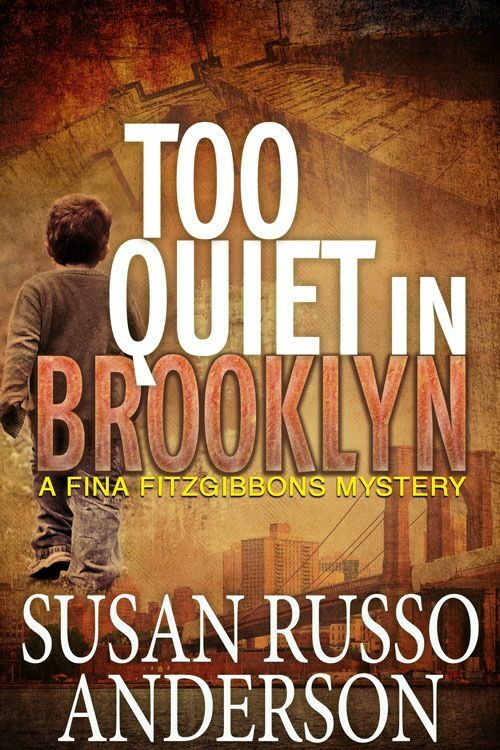 She has just published the first book in the Fina Fitzgibbons series, a new adult mystery, Too Quiet In Brooklyn. You can connect with her on her website, on Twitter (@susanrussoander) and Facebook. You can find her books on Amazon, Apple, Barnes & Noble, Kobo Books, and Smashwords. Welcome to Literary Wealth, the blog to find those undiscovered jewels of literature! Would you tell us a little about yourself? Hi, and thanks so much for having me here! I met Lauren Carr, this blog’s host, when we shared a room at the Writer’s Police Academy last year. We had a blast together and learned a lot in the police academy! 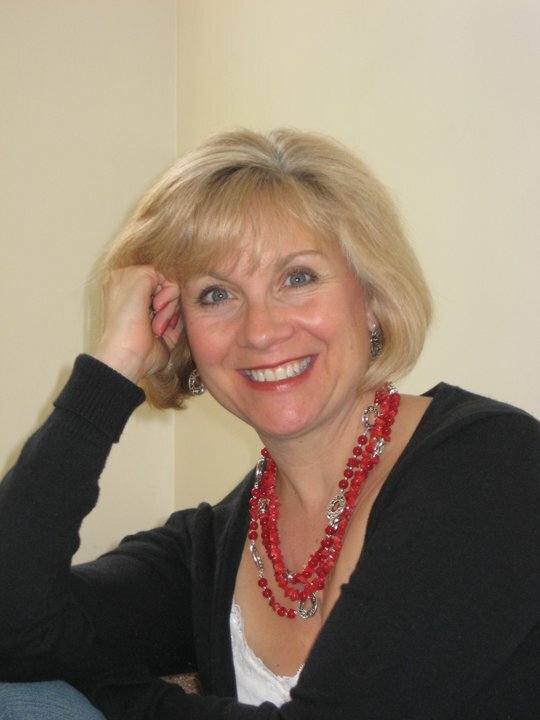 I’m an Amazon bestselling mystery and romantic suspense author. My storylines and characters combine for fun, fast-paced, can’t-put-it-down reads. In my mysteries, you’ll find characters who keep readers hooked, strong-willed women sleuths, and a sprinkling of humor. My first novel, Storm Surge, was released in 2011 with a sequel due out this year. My latest release, Private Deception, joins two e-book short story mysteries. I’m a wife and mother of two young boys who keep me busy. I live near Raleigh, North Carolina. For more information, visit my blog at http://www.authortamaraward.blogspot.com/. A lot of people are on Twitter these days, so can you describe Private Deception for us in 140 characters or less (which is the size of a tweet)? When did you begin writing Private Deception? What inspired this book and how much research was involved in writing it? I began writing Private Deception after I finished my sequel to my debut novel, Storm Surge. I wanted to create a new series with an even stronger female sleuth. As private investigator, my main character, Jade O’Reilly, has an inside track into the cases she works. As I write, the fictional characters come alive and provide inspiration for the book. They speak to me. You know how us writers have characters’ voices in our heads – we’re not crazy, right? This particular novel didn’t require loads of research, but attending last year’s Writers Police Academy certainly gave me a head start. Click on Cover to buy on Amazon. My mom has always been my biggest influence and supporter. She always has encouraged me to follow my heart (whereas my father wanted me to follow my brain). I’d like to think I did both – followed my heart and brain! Since I was young, I wanted to write, and my mom always was there, urging me to do just that. Even now when she visits, she’ll watch my two boys so I can sneak in a couple hours of golden writing time. When I was a teenager, I wrote a very boring memoir about my very uneventful life. I even sent it out to agents! One wrote a nice rejection letter back, telling me to keep writing. I think I’m a fairly typical writer. I drink lots of coffee and find myself using social media to procrastinate writing those difficult scenes. Not really. I tend to get wrapped up in whichever characters I’m reading or writing about at the time. What is the best gift you have ever received, do you still have it and who gave it to you? The best gifts are the ones given from the heart, and when my husband gave me his heart in marriage, that would have to be the best gift. No, I’m wrong. The best gift I’ve ever received is my children. I have two happy, healthy boys. What is something that you have always wanted to do, but just haven’t gotten around to it yet? Travel more! Learn to surf! If you were stranded on a deserted island, what three things would you hope to find in your suitcase? You ask some really intense questions. I’d hope I have a multipurpose tool, a survival kit, and lots of food and water. But I usually don’t pack those kinds of things in my suitcases! Fictionally speaking, I’m torn between When Crickets Cry by Charles Martin and A Prayer for Owen Meany by John Irving. Other than yourself, who is your favorite author? Other than myself?! Ha! Probably Charles Martin. Or Lisa Lutz. Or Kristen Cashore, or Patrick Rothfuss. If a TV show was based on your life, what type of TV show would it be (i.e., comedy, drama, suspense, etc.) who would you choose to play the leading character (you), and what would the theme song be? Why? My show would be a family-friendly comedy with an actress who doesn’t take herself or her image too seriously. As for a theme song, I’d like something with a good beat so we could dance to the credits! Read, of course! My Kindle is overflowing with good books I can’t wait to read! Neither! I do my best work in the middle of the day! By the end of the day, I’m exhausted, and early in the morning I’m slow and klutzy. White Collar is my favorite TV show – it’s light and fun, and you never know what’s going to happen. If you were throwing a dinner party and you could invite five people (fictional or real, dead or alive), other than family or friends, who would you invite and why? I’d invite Jesus Christ, Sherlock Holmes, Ernest Hemingway, Martin Luther King Jr., and Mark Twain. I think the dinner party would change my life and expand my brain. If you had the opportunity to go anywhere you wanted, at any time in history, where would you go and why? This may not be the most creative answer, but, honestly, a nice Caribbean beach vacation with my family right now would be paradise. Or I might go back in time over to Europe to listen to Beethoven’s final symphony being conducted for the first time ever. I’m in the very early stages of writing a sequel to Private Deception. Thank you so much Undiscovered Author for being on Literary Wealth! Here’s to Hoping You Get Discovered Today! You’re welcome! Thank you, Lauren and Literary Wealth!